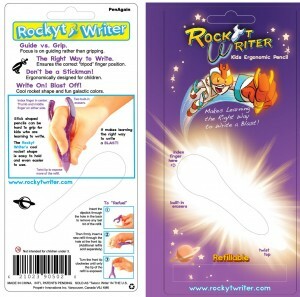 Here is a sneak peek at the new Rockyt Writer packaging. Each card will have a cutout in the center so users can “test drive” its ergonomic feel before they buy. 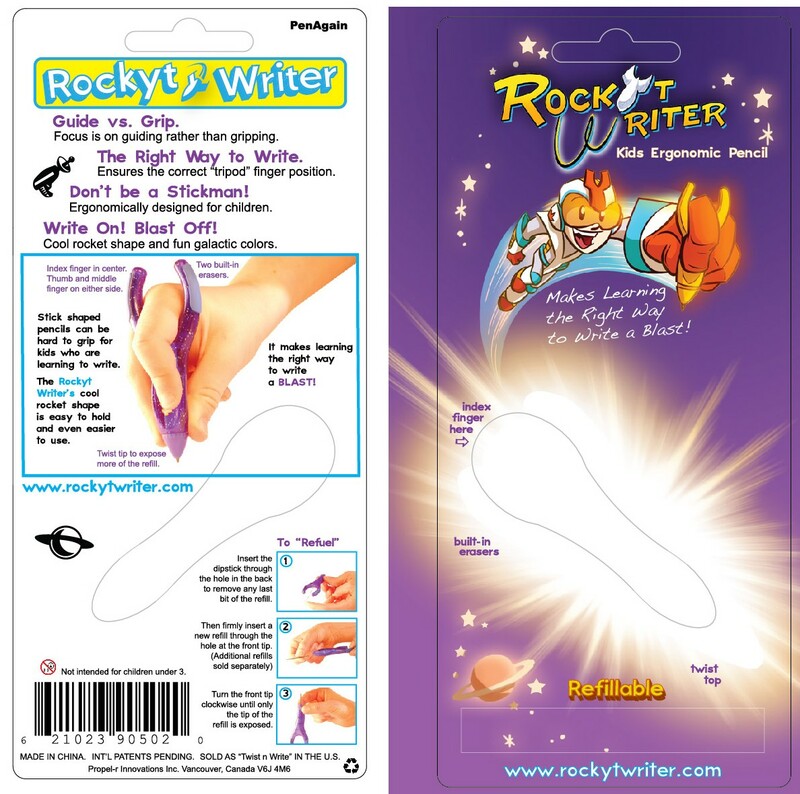 Also, each card will include 5 refills (additional refills sold separately).